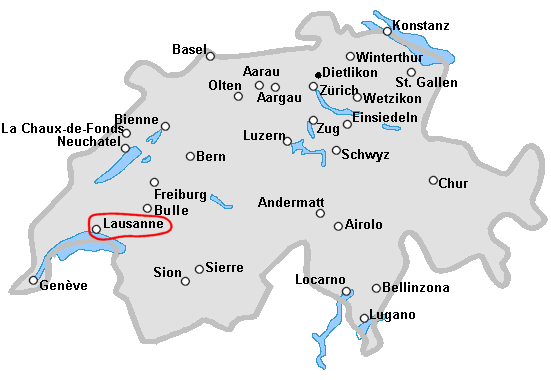 The next Swiss Juggling Convention 2014 will be in the suburbs of Lausanne, in the french part of Switzerland. From Friday the 5th to Sunday the 7th of September 2014. In "le collège de la Plaine, à Chavannes-près-Renens", in the suburbs of Lausanne. Acces information from the reference Web site. Localisation of the collège de la Plaine, in Lausanne with GoogleMap. Localisation of the collège de la Plaine, in Lausanne, with OpenStreetMap. Places will be available in a "Protection civile" bunker for 8.- CHF per night. It will be possible to sleep in the gymnastic hall. The juggling noice can disturb you ! Program See the reference Web page. 19:00, Welcoming the jugglers, opening of the juggling place. 21:30, open stage, free entrence. See the reference page. 22:30, Fire show by the company "Fuegoloko". 10:00 - 12:00 initiation juggling workshops. ° A street show from the company "Les Yeux Fermés". 20:00, public Gala Show see the reference Web Page. 10:00 - 12:00, initiation juggling workshops given by the cikus school Coquino. 14:00, ending show, by the Kunos Circus Theater.